Want to get your family in the mood for fall? 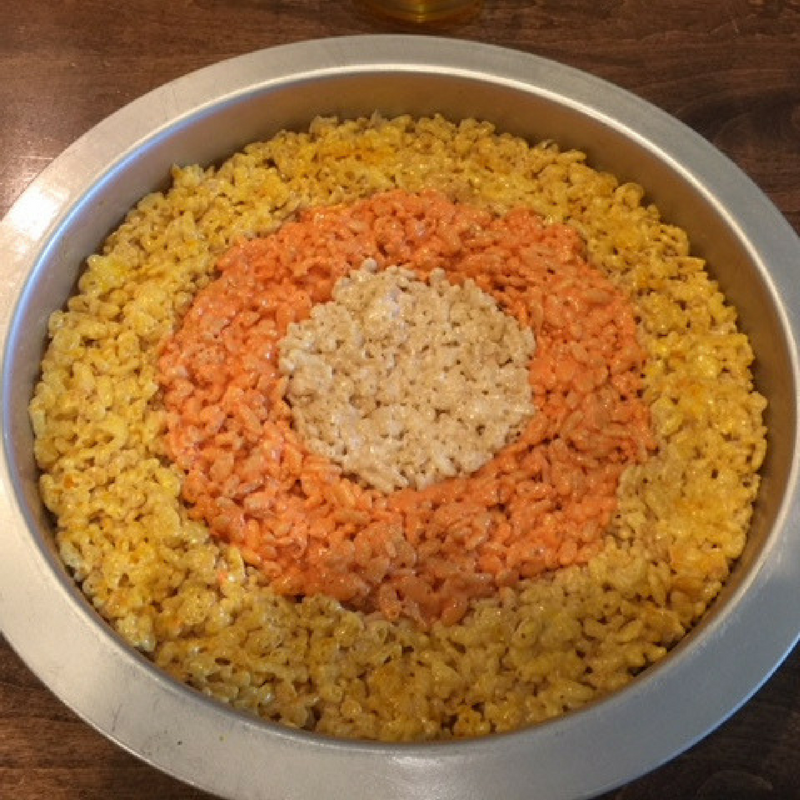 Whip up a batch of these candy corn rice crispy treats — they’ll soon become a family holiday favorite. They’re simple to make and a crowd-pleasing treat! 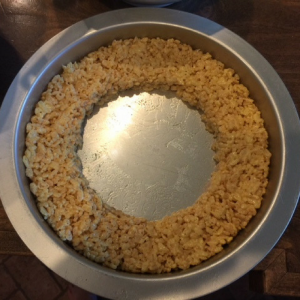 Lightly coat an 8×8-inch circular cake pan with cooking spray. 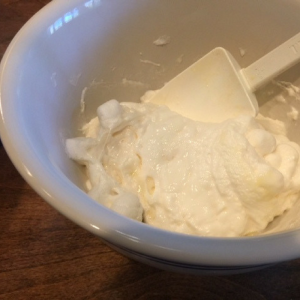 Combine marshmallows and butter in a microwave-safe bowl. Microwave for approximately 1 minute. 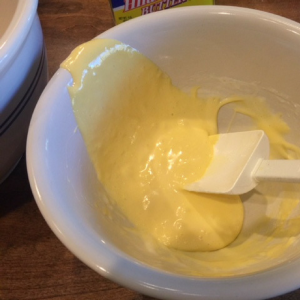 Stir in 5-7 drops of yellow food coloring until the mixture is smooth and fully combined. 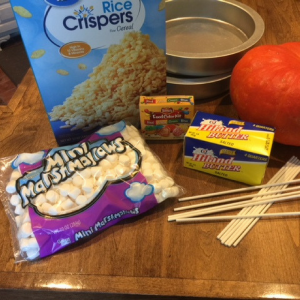 Pour in the crispy rice cereal and stir until all the cereal grains are covered with the marshmallow mixture. Spray your fingers with the cooking spray and create a ring about 1 ½-inches wide around the outside of the cake pan. Repeat the same process for the orange layer, but shorten the microwave time to about 45 seconds. 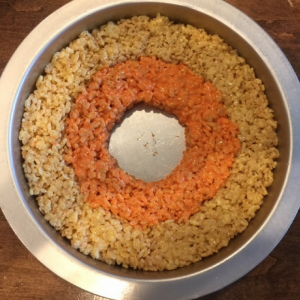 Create an orange inner circle next to the yellow circle, leaving about 2 inches for the white center. 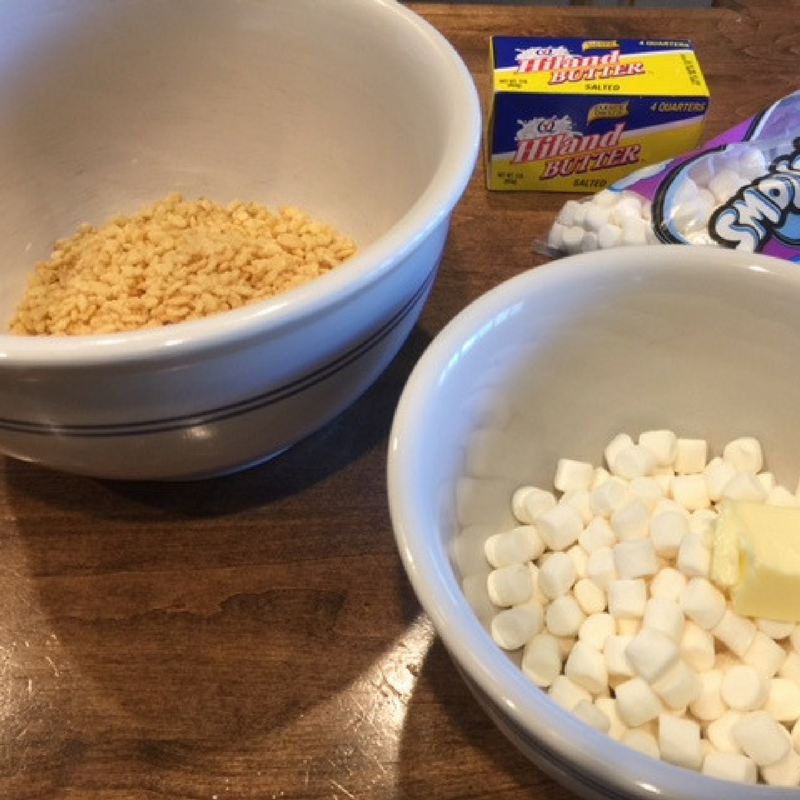 Repeat the same process as the first two rings, but microwave the marshmallow mixture for only 30 seconds. Fill the center with the white cereal mixture and press down all the layers across the surface of the pan so they stick well together. 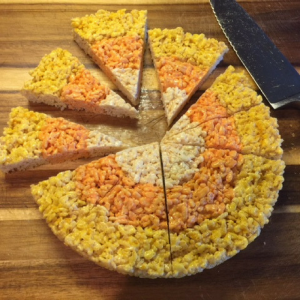 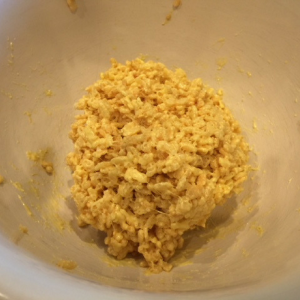 Flip the pan onto a cutting board and cut the crispy rice candy corn into triangular sections. 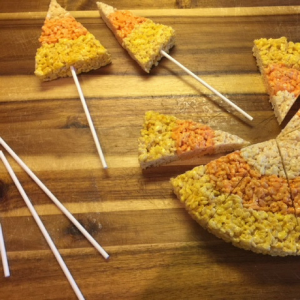 Insert sticks in the yellow side of the treat to create a rice crispy candy corn on a stick. 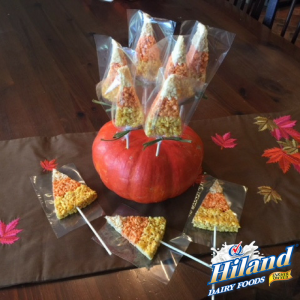 These are a huge hit for fall gatherings. You can prepare them ahead of time; just be sure to wrap each one in cellophane to keep them fresh until they are served.